The tension! Today’s comic is a little unusual–it originally had a different ending. But after looking back at it, I felt that the back-and-forth of the penultimate panels was ultimately the best part of the strip, and their humor was somehow intensified if the strip ended right there. The original ending is definitely more typical in the setup/punchline structure of BitF…but sometimes being atypical is fun! Besides, it once again reminds me of the slightly more droll humor of the early BitF comics. So I realize that plenty of readers will likely prefer the original final panel’s inclusion, but I do like experimentation now and then, as you’ll see next week. 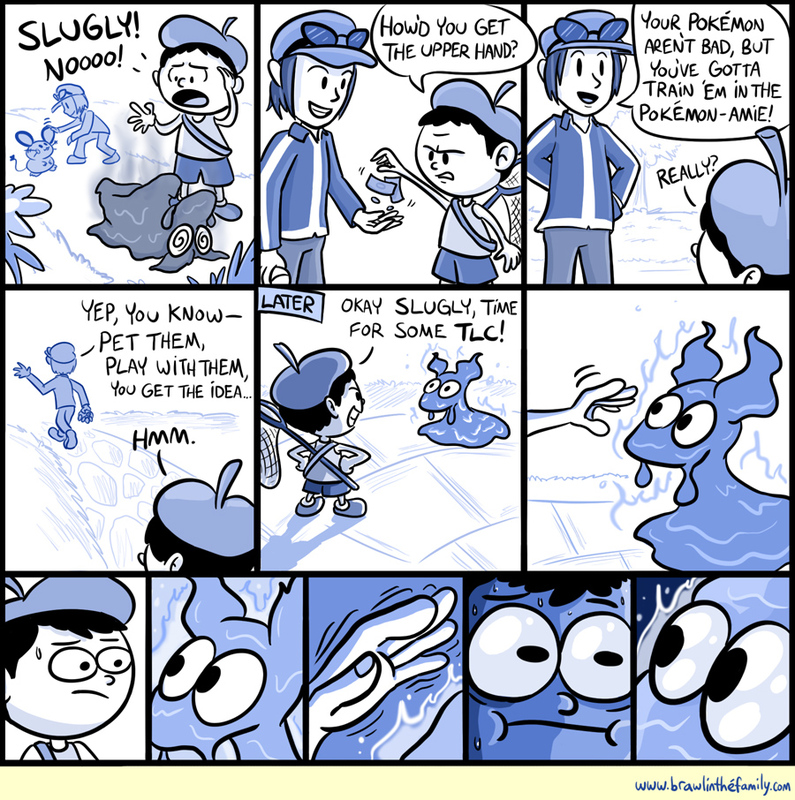 By the way, I have no idea if Slugma is in X and Y, but he seemed to make the most sense for this type of joke. I’m sure there are other Pokemon that would work in this scenario though.